With the holidays approaching and Pinterest rolling out more buyable pins, that number could climb even higher before the end of the year. One of the hottest ad formats of 2015 can’t be found on Facebook or Twitter. Stats provided to SocialTimes by 4C Insights show that clients’ ad spend on Pinterest has far more than quadrupled since January — a rise of 7.7 times. With the holidays approaching and Pinterest rolling out more buyable pins, that number could climb even higher before the end of the year. Pinterest is really blowing up for brands. It’s the perfect social discovery engine. You’ve got consumers in buy-mode actively seeking inspiration with built-in sharing and network effects. Best of all, it’s still early days for Pinterest ads so there’s not a ton of competition and inventory is quite a bargain. Although I suspect that’ll change once everyone sees our stats and realizes they need to get in on the action. The reason advertisers have been going big on Pinterest, 4C notes, is that the platform has driven results. Clicks on Pinterest are up by a factor of 6.5X since the beginning of the year and re-pins of ads are up 5X since January. Ad impressions have grown by 3.3X this year, 4C finds, and click-through rate of ads on Pinterest has doubled. A few of 4C’s clients have found Pinterest to be a great place for conversions, as well. The report pointed to online retailer Adore Me, which was able to boost Pinterest revenue by 4,000 percent and reach new customers. The customers acquired via Pinterest spent 20 percent more over time compared to those brought in elsewhere. 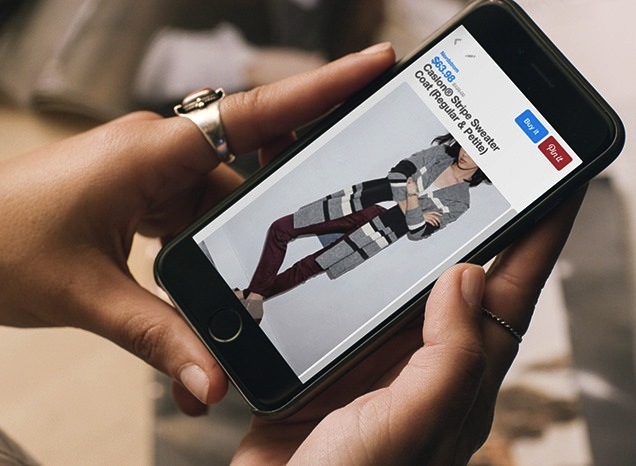 Zola, working with creative agency Unique Influence, has seen 44 percent increase in conversion rate and 50 percent increase in click-through rate on Pinterest. If you are still on the fence about Pinterest, jump in now before the true market saturation begins as click costs rise. You can take advantage of the opportunity to get clicks at a bargain before your competitors arrive en masse. Readers: Have you found success with Pinterest advertising?